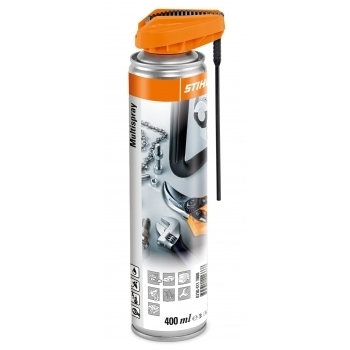 Multi function spray that cleans a number of tools and leaves a protective film that does not harden on the surface and thereby protects against corrosion. Rotating parts are lubricated. An essential all-rounder for every workshop. 400ml spray can. Cleaner and lubricant, penetrating oil, rust remover and corrosion protection all in one. 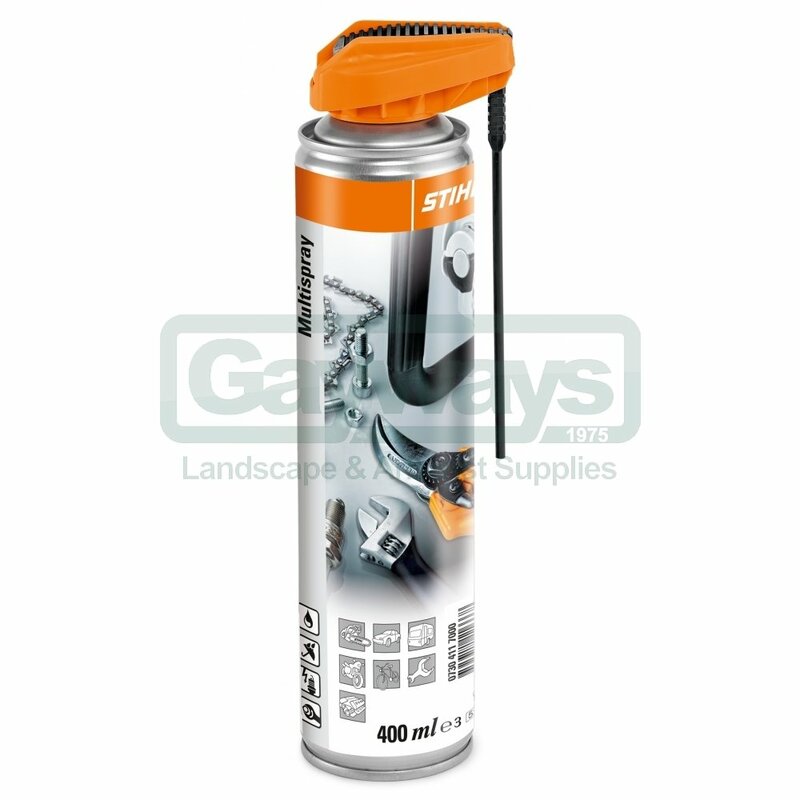 A quality product by STIHL with a variety of uses.